One of the most audaciously brilliant albums of the ’90s remastered for its 21st anniversary. Includes the hit singles "Six", "Being A Girl", "Legacy" and “Negative”. Mansun have announced details of a super-deluxe reissue of their hugely ambitious second album, SIX. The album will be issued as a Deluxe Edition 4-Disc Book, Green Double Heavyweight Vinyl LP (Limited Edition), CD Media Book and Double Black Vinyl. Concept driven and spanning myriad genres, SIX was a record out of time made by a band at the peak of their creative powers - a collection of songs that fizzed with ideas and inspirations and fused elements of pop, electronica and progressive rock to Tchaikovsky sample, electronic drums and spooky synth lines. Lyrically, the songs referenced religious scepticism, Winnie the Pooh, L. Ron Hubbard, Stanley Kubrick, Orwell, Marxism and that most iconic TV show, the Prisoner. On top of all of that, the record featured a spoken word section from the legendary fourth Doctor Who - Tom Baker. 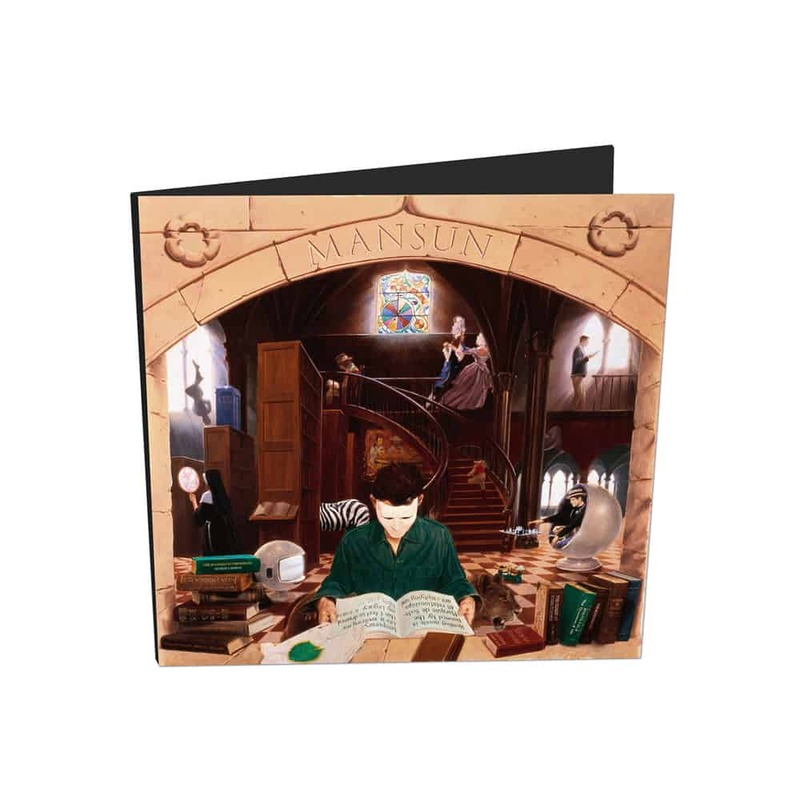 The end result is a 70 minute, twelve-track brain warp, a record that would set Mansun apart from their peers forever. One of the most iconic and innovative British bands of the late 90s, Mansun signed to the legendary record label Parlophone (home to The Beatles, Radiohead and Sigur Ros) in 1996. They released three albums – Attack of the Grey Lantern (1997) Lantern (1997), SIX (1998) and Little Kix (2000) and one posthumous compilation, Kleptomania. Kscope acquired the band’s catalogue in 2017 and are running a thorough reissue series that delves into a treasure trove of previously unreleased audio and visual material. Kscope released Mansun frontman Paul Draper’s acclaimed solo debut Spooky Action in 2017; Draper is currently working on the follow up, due for release later this year. This 21st anniversary edition of SIX will be released as a 2LP on 180g heavyweight audiophile green vinyl in gatefold packaging. The audio has been fully remastered from the original master tapes. This 21st Anniversary edition of SIX is fully remastered by Jon Astley and will be released as a CD edition with 12 page booklet.